every parent prays, hopes and dreams of long hours of sleep for their newborn. everyone differs on what what works for them (even nellie and myself have things that worked for one of us, but not for the other). find what works for you and your little one and stick with it. we hope that this list of what worked for us gives you a starting point. i personally never used either one of these, but know tons of mommies that have. in our home, the bedrooms are close together, so it is easy to get up and grab the little one when it is time to eat. my kiddos are amazing sleepers and great self soothers. i personally believe that part of the reason for that is because they always slept in their own rooms and cribs from day 1.....but i know that many of you will disagree, and that is *okay*! every mommy and every baby is different......find what works for you! find a style you like, but my advise is do *not* spend a bunch of money on a crib. your baby will turn into a toddler that will chew on it. a crib is not an investment piece. it works for a small amount of time in your child's life and will be passed onto subsequent kids and when you are finished with it, you most likely won't be able to get a bunch of money for a used crib....so don't spend the money. also, i made the mistake of getting a convertible crib. a total waste of the money (in my opinion). if you are going to have more than one child, you will not even have the opportunity to use the convertible crib. what are your thoughts? do you agree? we both actually believe that a good, firm mattress is something that you should invest in. the baby will sleep better and it will last through all of your kids. get at least 2 (i say 3) extra sheets for the crib. in the middle of the night, when facing a blow-out diaper or spit-up you do *not* want to have to be doing the laundry. if you have two, you can have one for the bed and one for the laundry. same goes as we said above. you want waterproof mattress covers in the first place to protect the mattress. you want extra mattress covers for those middle of the night blow-out diapers or leaks so that you can quickly change the sheet and mattress cover and get back to sleep! people love to give blankets. it's kind of crazy. wait until you've had all of your baby showers and then decide if you need anymore. you'll probably just want one or two that you'll really use and like. if you have a couple that you use consistently, your baby might become attached to them or a lovey (see below). that's a good thing as it helps to cut down on the separation anxiety stage. we're a big fan of blankets and loveys. it is a good idea to take back some of the thin, little blankets you get at your showers and get a couple of nice ones. i'd just get a couple of nice, really soft blankets that they can use and hold onto. they really don't use them to cover up as they wiggle too much at night but they do use them for security. i'd stay away from fleece as it sticks to their fleece pajamas and they can get tangled at night, waking them up. if you get a bunch of little blankets, keep a couple for when they are newborns. you'll use them then for going out, etc and you'll want the little ones you can wash easily. if your child gets attached to one in particular (one of mine loves the elephant and the other the giraffe--listed below) then buy 3 or 4 to have extras in case one gets misplaced or dirty. i am a giant fan of swaddling. both of my boys were houdini-like in figuring out how to escape every one that i had purchased.....and then came the ergo swaddler! it is amazing. little ones wake themselves up by jerking their arms during their sleep. enter swaddling. problem solved. we both agree that that you need one for the crib for sure. we also think that it is a great idea to pick up one for the changing table as well. the changing table is more important than the crib, in my opinion as it is a place you want your child to sit still and look up. you'll also want one for the crib as sometimes you might just want to sit your baby in there to play and not have to entertain them. mobiles are good for that. (skip bed skirt and bumper for breathable bumper) traditional crib bumpers are in the news for causing all sorts of safety issues. i love the breathable bumper. it provides a border to contain the pacifiers, stuffed animals, etc and is safe for your little one. they come in all sorts of colors, so you will be able to find one to match your nursery colors. i know that the traditional bumpers are tempting, but pay attention to what type of crib that you are getting. if your crib had a solid back, you will have trouble attaching the bumper (this is the problem that i ran into with my first little one). my sister received a nap nanny as a gift for her second baby, it actually seemed silly to me....but she *raved* about it and so my mother gave it to me as a gift for my second born. i fell in love. it is supposed to be amazing for babies for colic or acid reflux, but it also was soooooo amazing for my little one that had none of the above. it is lightweight and makes it a piece of cake during the newborn stage to pick up and move my little one while he was sleeping to other areas of the house....and most of all to keep him out of reach of his older, curious brother. it also came in super handy when traveling to not have to bring a pack-n-play or when we could go over to a friends home for dinner and he could peacefully sleep while we visited and ate. i recommend also getting a second cover for it in case of diaper mis-haps too. now that my little one is walking around, they both still love it as a lounge chair in front of the t.v. i don't see the nap nanny leaving us anytime soon, and seriously can't rave about it enough. nellie was actually the one that turned me onto the idea of a noise machine. it is a wonderful addition to the nursery and will help drown out the noise of other siblings, visiting guests or simply of mommy loading the dishwasher. it now comes in handy for when we travel to drown out unfamiliar noises to the little ones in hotels or friends homes. i have used both of the ones below and love them both. the first one gives a fantastic white noise and the second offers many options from ocean waves to womb sounds. this is certainly not a "must-have", but both of my boys have loved having this cute hard-shelled turtle on the floor in their rooms as a happy, soothing night-light that turns itself off after a certain amount of time. space heater depending on where you live, it gets cold. heck, even in southern california it gets colder than little newborns can handle. instead of heating our whole house, we opted for a small space heater in the room with both of our boys. the brand and style are up to you, but you will be happy that you have one. the peace of mind that it brings knowing that your little one is not going to roll over in their sleep is *well* worth it. 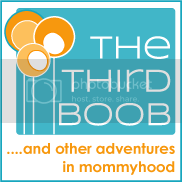 i have never used one, but lots of moms swear by them....and lots of drs recommend them too. it might be good to have one on hand for when your little one gets congested. get one. whether it has a video or not is up to you (i have one with and nellie has one that is sans video). bottom line is that you will be happy that you have one. my first born got the dreaded flat spot on the back of his head---agghh! it wasn't bad enough to have to wear the helmet, but i certainly didn't want to repeat the stress of worrying about it with baby #2. enter the boppy head support. i bought three and had one in the swing, one in the car seat and one as a floater for the vibrating/bouncing chair, etc. proud to say that my second baby boy had a round noggin with no flat spots. whew. my option on binkies vs thumb/finger sucking is that (if you can help it) try to get your kiddo to like a binkie. my theory is that when the time comes to stop sucking on something....you can take away a binkie, but not a finger! try all sorts of brands and buy a ton when you find a style/brand that they like. said before, here are our guidelines as mommies. we are not experts, we just wanted to take the time to pass on the knowledge we have gained from the experience of raising a total of 6 kiddos. if you have anything else to add to our suggestions, please comment and share your knowledge too. 1) I believe the Nap Nanny was recalled not very long ago due to injury/death of a few little ones. 2) The video monitor ROCKS. Pricey, but totally worth it to prevent unnecessary intervention... and really worth the money in amusement factor when you watch them jamming in the crib. 3) "Pure White Noise" CDs are the BEST!!! (www.purewhitenoise.com) They do the classic stuff like washing machines, rain, windshield wipers, etc., and add beautifully filtered white noise along with it. We have quite a collection of these guys. 4) LOVE the Arm's Reach co-sleeper. Especially after having a c-section, it was worth its weight in gold to be able to care for my little one without climbing all around. 5) I have that very humidifier. (We actually keep it in our bedroom, but don't tell anyone.) We also have the panda and the duck in the girls' rooms--they're awesome! 7) OOOOOH, you need to check out the Quick-Zip sheets by Clouds & Stars!! They're really pricey, but oh my word, are they the best thing you can buy EVER. You wrap the mattres with the fitted sheet, and then the mattress pad is laid on top, with the top section of the "sheet" then zipped around the top edges of the mattress. When pee/poop/vomit/other fluid occurs and when you want to change the sheets, you simply reach in and unzip the sheet and zip a new one back onto it! AWESOME!!! I'm never going to be without it again. amazing advice! thank you!! i did do some research on the nap nanny and it does appear that there was a recall in june of 2010, however that was on the first generation model and it appears that the issue was fixed in pervious models (mine, whew!). *love* the idea of sewing the binkie to the angel dear blankie/lovey! Wow! Those look great! I am so impressed!